Here’s your first big decision on choosing a photographer – deciding on how you want your photos will look. There are several different styles a photographer could describe their work as. Bright and Airy, or Moody and Edgy. These terms refer to how the photographer shoots and edits their photos. Bright and Airy is exactly how it sounds. Your photos are bright in exposure and have an airy, or light, feel to them. Moody and Edgy means the photos are going to on the darker side. Your shadows are going to be deep and the photos are going to have a higher contrast to them. Here’s an example of bright and airy, and one of moody and edgy. Do you want your photos to be more candid or posed? Do you want to be given directions, or would you rather the posing be more on you interacting with your significant other? Deciding on a photographer based on this style isn’t going to be as easy as deciding on the editing style. When chatting with potential photographers, you’ll need to ask the photographers to describe their style in posing. The easiest question to ask is “how would you describe the way you pose your couples?” When asked this, I always answer with “posed candid.” I place my couples in a pose – giving them directions, but once it’s all said and done, the couple looks very candid in the photo. Just like any other major purchase in your life, you do your homework and read reviews. Please do your homework when hiring any of your wedding vendors. For photographers, you can check out The Knot, WeddingWire, Facebook, and maybe even Google if that photographer has it set up. Of course, you can look at their own website. Another great way, ask your married friends who their wedding photographer was and what their experience was. If they had a wonderful experience, reach out to the photographer. Bonus points if multiple friends have used the same photographer and all have had similar experiences. Keep in mind that in this day of digital age, it’s not hard to pick up a camera and be a photographer. If the price seems too good to be true, I can promise you, it’s because it is. Being a professional isn’t cheap, and for many, photographing weddings is our livelihood. For a professional wedding photographer, prices typically range from $2,500 to upwards of $10,000+. Saving for a professional photographer who may be slightly out your budget will prove to be one of the best decisions you will make for your wedding day. After all, as mentioned before, these are your wedding day memories that will remind you of the joy you felt all day long. Then you’ll have to decide if having an album is important to you and your soon-to-husband. Do you want prints or canvases to hang on your walls? These are all questions you’ll have to answer after you meet with the photographer and decide which collection of theirs works best for your needs. Once you have worked through the first three steps, it’s a wise idea to chat with the photographers that you think will be a great fit. Schedule a time to chat on the phone or in person. You’ll get a great sense of their personality and whether it meshes well with yours! You want to leave that meeting feeling like you have just gained a new friend. You want to make sure that your needs will be met, and you’ll be well taken care of. During this meeting, make sure you ask the photographer these questions! I’ll be the first to admit that the photos I share on my blog and social media are photos that I absolutely love. My favorites of a couples wedding day. 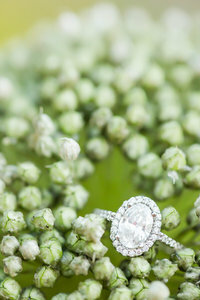 But to get a full representation of a photographer’s work, ask to see a full gallery from 2-3 weddings. You want to see everything that they deliver to a couple. 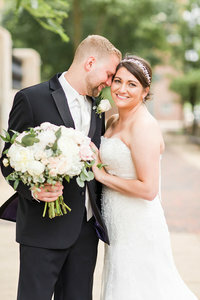 If I haven’t previously photographed a wedding at the same venue as the inquiring couple, I will send them my portfolio link and invite them to look at any gallery they please. When you do this, there are a couple things you want to look for. Is the editing consistent throughout the whole gallery? Are the black and whites all black and whites, or do they have different color tones from one image to the next? Is the gallery organized in a way that you can easily follow, or is it confusing to you? Are the images properly exposed, in focus, and straight horizons? Remember, these are your wedding photos. 99% of Brides want their wedding photos to be timeless, which means there’s not much room for trends. Sadly, I see all too often Brides mentioning on social media that it’s been six months and they still don’t have their wedding photos back. And in that same time frame, they have only seen one sneak peek, and have emailed their wedding photographer once a month since the wedding. I wonder to myself if the couple asked for a general timetable of when they can expect to receive their full gallery, or was the photographer behind on their editing and missed their deadline. My goal is always to complete a full wedding before I shoot my next one, which means a seven-day turnaround. This isn’t always the norm with photographers, but for my Brides, they’ll never have to wait six months to receive their photos. 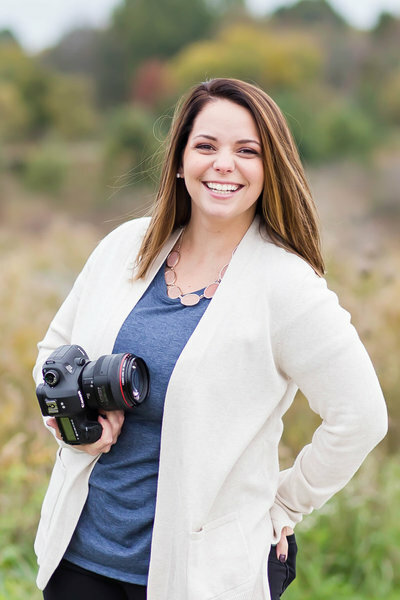 These six steps to hiring the perfect wedding photographer isn’t the one size fits all for all brides, but it’s certainly a great place to start. 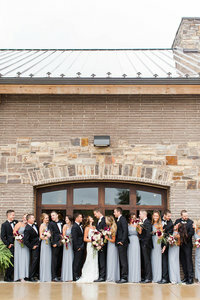 Best of luck with your search hiring the perfect wedding photographer for your big day! These images are going to be the ones that are shared with your children and grandchildren for the years to come! 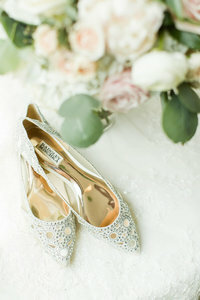 If you found this post helpful, be sure to pin the photo below to your wedding Pinterest board!